The day began with a series of very strong stories. I’ll hit some of the highlights. This is based on my reporter’s notes (a skill learned while working on the college newspaper), not recordings of the sessions. The over arching theme I took away was “reinvent marketing” because technology has made it imperative and possible. First steps included bringing digital “from the margins to the core” — knocking down the silos and cul-de-sacs of marketing. He also set about educating the senior managers and executive team on how marketing needs to change. To do that, his team had to educate themselves about the changes in the marketplace. This led to creating a completely new model of marketing for Visa: “Audience First” Marketing. They mapped “the traveler journey” as a way of better understanding the realities of the customer journey. The better understanding of the customer journey “changed the way we do advertising”. Part of that change was the radical idea that “media plan then drives creative executions” and “turning the old model on its head”. The traditional model was all about coming up with the big creative idea first and then identifying the best media vehicles to execute it. The “Audience First” system required a lot of internal education. They created training modules and also brought it into key executive meetings through the strategic planning and budget process. That was one way to guarantee the attention of the senior management. The big challenge ahead is that a new system requires new metrics. Currently all of the social media sites have their own metrics. There are no industry wide accepted standards. This is greater than a Visa issue — it is a challenge for the entire marketing community. Lucio called for an industry-wide effort, including academia, to create metrics for a cross-platform, multi-channel world. That is the next frontier. Edelman digital next presented the top 11 trends that are reshaping marketing. By trends they mean larger movements, it isn’t a “who’s hot/who’s not”. In the interest of time (I’ve got some sleep needs ahead of me), I’ll hit on a few of the trends that I find immediately compelling. #1 Attentionomics: The old metrics of reach and frequency are empty metrics. It is more important to measure the value of the attention. It means thinking in visual terms since visual cues are more engaging. It means looking at engagement that is relevant by daypart (time of day). The challenge is that marketing no longer unfolds in a linear beginning, middle and end.”There is a narrative disconnection of time…So we need to help the consumers.” Part of that is making is easy for employees and customers to tell and share their own stories. Another part is the the story needs to unfold in a way that is appropriate to the platform. What might be right for Facebook isn’t necessarily right for Twitter. #6 The Integrated: For too long “social media has been isolated. You need to integrate it into holistic communications.” Until now social media has been fragmented, not formal. In the future it needs a central infrastructure, social media command centers to monitor, share and put information into the hands of executives across the company. “The next brand crisis will erupt on Facebook or Twitter” (for example Kenneth Cole’s twitter about the Egyptian protests). #7 Ubiquitous social computing: “All devices will be social media” Smart phones, tablets, will be the tools for creating and consuming social media, not just the PC. Therefore Mobility needs to be built into the brand strategy. Interestingly he ended by stating that traditional TV advertising is still incredibly important. It sets a foundation that the digital elements and social media can build upon. All of the changes in the world mean that agencies need to change they way they hire, behave and “change the model of brands” Culture and context are more important than ever before. The work on Dove was one factor that actually opened a door of insight at Ogilvy and “really crystalized our thinking”. 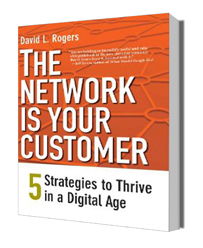 The new approach is as focused on the internal audience of employees as the external customers. Tim gave the example of IBM, where the “the #1 influence on the perception of IBM is the IBM employee”. Most revealing of the changing models is that Ogilvy has dropped the 360 degree approach. “360 degrees is a myth. You cannot be everywhere. And only 10% to 20% of it really works. That’s a big about-face for Ogilvy. It is a powerful statement for the ways companies recognize the need to reinvent marketing. At the same time, Maleeny did recognize that change is anything but easy. While everyone sees the need, most companies are “scared” and in denial. Others marketrs are seeing the changes as inevitable and seizing them as opportunities to move ahead. As an outside agency, Ogilvy can educate and share the new Brand IdeaL models but they cannot dictate them to clients. Okay, enough for now. More BRITE to come in future entries. 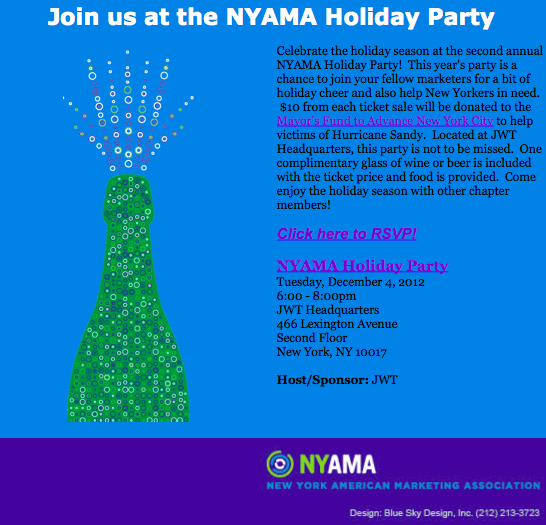 On January 6th there is a NYAMA networking event at 47 East 29th Street, the Red Sky Lounge, from 6 to 8 pm. It’s social networking the old fashioned way. And on January 20th there is a real treat. We’ll have 3 special guests speaking about How to manage a brand crisis in an age of social media. Remember Steven Slater? 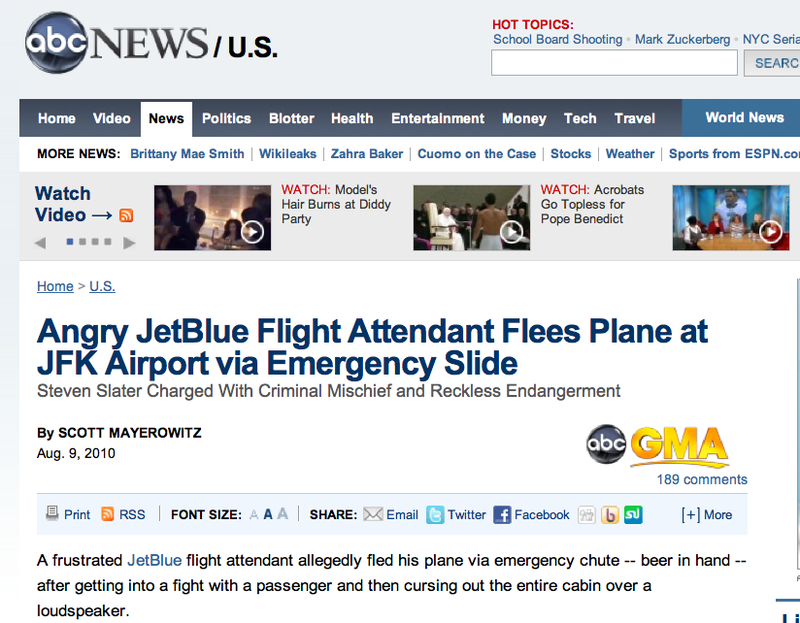 He’s the Jet Blue flight attendant who jettisoned his career this past August, making headlines around the world. We’ll have Jenny Dervin from Jet Blue on hand to tell us how they handled that brand crisis! We’ll have Kirk Stewart of APCO to give some insight into the influence of social media on the reputations of Nike and Toyota when those two brands had crises. And we’ll have Erich Joachimsthaler of Vivaldi to share his views on the importance of Social Currency to brand reputation. 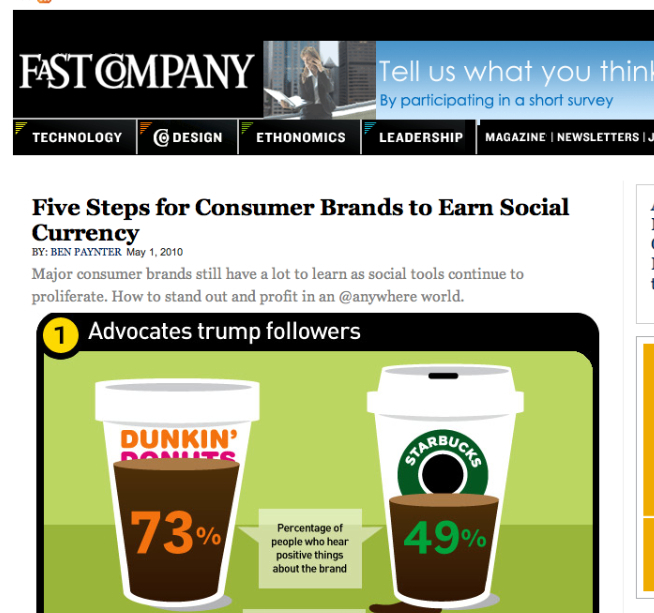 You may have seen his study on Social Currency in Fast Company and other publications. Now that the news embargo has been lifted, I can tell you that Tony Hsieh, the CEO of Zappos, will be making one keynote speaking appearance in New York City in early September. September 10th, to be more accurate. So join us on Friday, September 10th, as the NYAMA hosts Tony Hsieh to celebrate the publication of his new book, “Delivering Happiness”. It’s early in the morning (starts at 8am) which is always a challenge for some of us. It will be held at Fordham University, just behind Lincoln Center. You can download the information here. 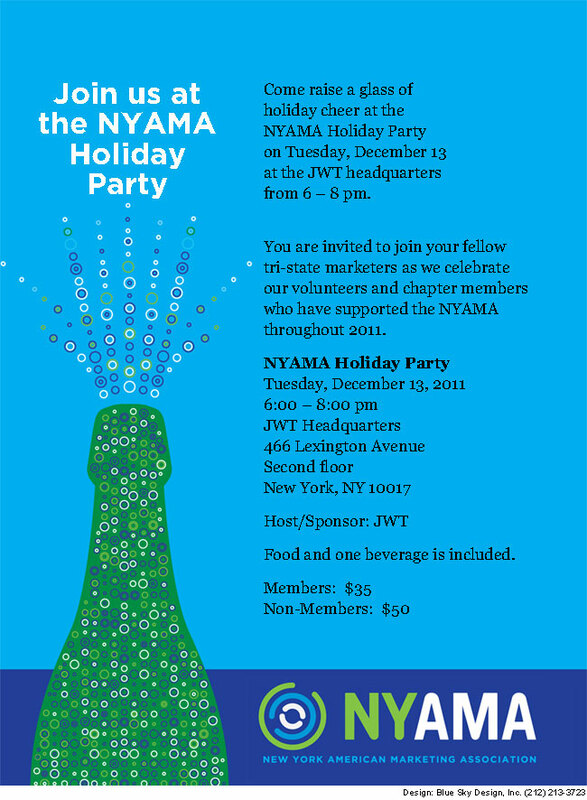 Or you can go to the NYAMA website and learn more about the program as well as about the NYAMA. Personally I think that “Delivering Happiness” is understated compared to the sheer excitement and ecstasy that a Zappos box brings to my household. I can see how my alternative title for his book, “Delivering Ecstasy”, might attract the wrong audience.